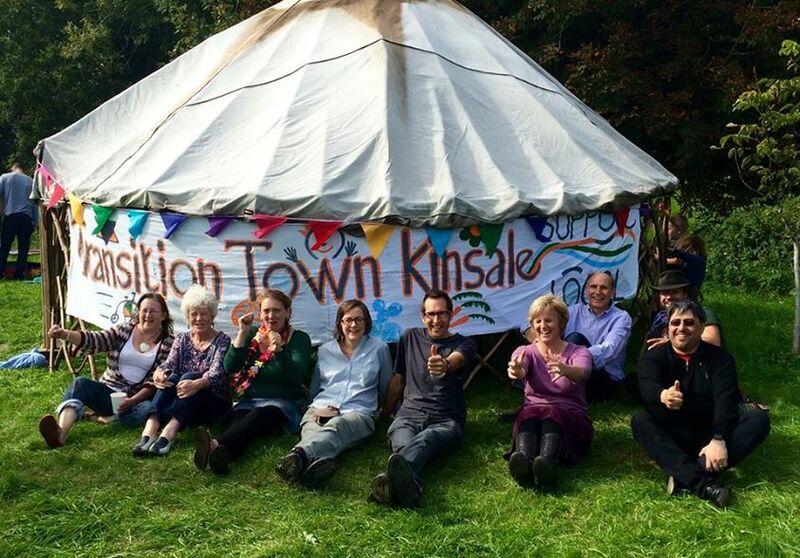 Following on from the success of the Picnic in the Community Orchard at Sáile in 2015, to celebrate Transition Town Kinsale’s 10th Birthday, it was decided that another Harvest Picnic was in order in 2016. Video of our 10th birthday party! Once again there was amazing local food, music and good company and thankfully some fine autumn weather. Kieran Hayes from Transition Cork City set up his Apple Press and a small crew set to chopping and pressing the most delicious cocktail of local apple varieties. Apples were gleaned and donated, as the Orchard trees have another year or two to go before they become fully productive. But the Orchard provided plenty of blackcurrants and raspberries throughout the summer. Big thanks also to the Scouts who planted beans, sweetpea etc. in their raised bed. 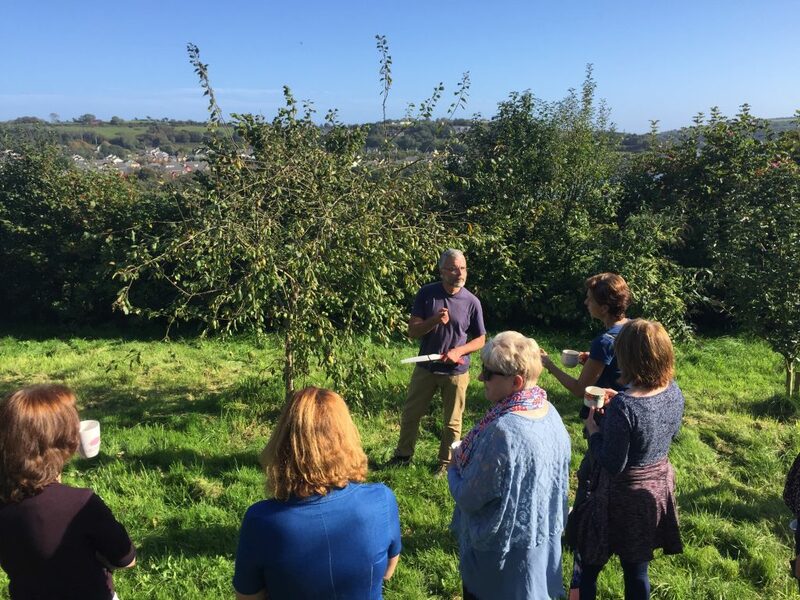 And in 2017 Kinsale celebrated Ecolise day with talks and workshops in Kinsale Community Orchard. There was a real community effort to ensure everyone was fed and watered at this community picnic. After the ‘Fruit & Nut Tree Planting and Maintenance Workshop’, with Thomas Riedmuller, Margaret Thuillier gave an account of the Community Orchard Harvest and John Thuillier presented a short history of the area. 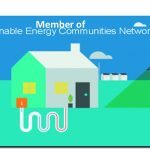 After the picnic, there was a tour of Kinsale College of Further Education, where Rob Hopkins and his students first came up with the Kinsale Energy Descent Action Plan, which led to the concept of Transition Towns and is now a global movement. 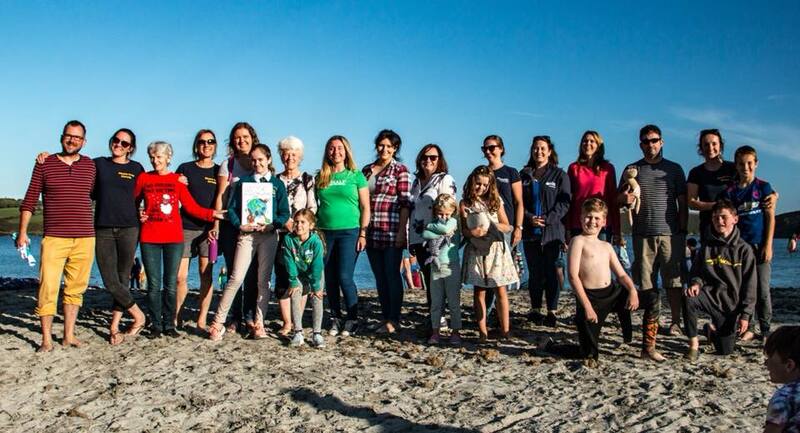 And in 2017 we celebrated European Day of Sustainable Communities at The Sea+Me Event at the Dock Beach, where Plastic Free Kinsale brought together, for a fun day of learning, experts who care deeply about the sea and our marine wildlife. 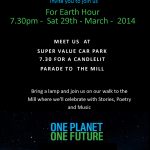 Join us for a candlelit parade through town to the Old Mill Building where we will mark Earth Hour (8.30-9.30pm).